One of your top goals is to have a happy and successful life. Your career is the key to achieving this goal. Some mistakes could harm or even end your career. You have to recognize and avoid them at all costs if you really want to have a successful life. There are 10 career defining mistakes. Research tells us that what we wear affects how we think. How we dress also affects how other people perceive us. Sure, you deserve to get the respect you think you deserve and get people to listen to you. People should respect you because you know what you’re talking about. So why should you wear expensive socks to get people to respect you? One day I was on a bus headed to my friend’s house. It’s been a long time since I went to the neighborhood so I wasn’t so sure which stop to get off at. I was constantly looking out at the window, and the gentleman sitting beside me could not help but notice it. He nicely asked where I was going and if I needed help. I told him where I was going, and he said I should exit in two stops. I thanked him. I thanked him and exited where he told me, ignoring the advice of the first guy. Now, you may want to ask me why I chose the second guy’s advice. As I walk away from the bus stop, I realized I ignored my seatmate’s advice because he was wearing sweatpants, had a dark stain on his T-shirt, and looked like he skipped showering that day. I realized that I chose the second guy’s advice because he wore a collared jacket, well-polished shoes, and designer glasses. When you dress well at work, people will notice you. Your superiors will notice you, and they would admire you for that. That would open up more opportunities for you. Even if you’re a highly-talented employee but always express a bad and negative attitude at work, you’ll have a high mountain to climb to advance your career. Many managers hate working with employees who have bad attitudes because they decrease the team morale. According to studies from Leadership IQ, 87% of employees say that working with somebody with a bad attitude has actually made them want to change jobs. And as much as 89% of new hires who fail within 18 months actually failed because of attitudinal issues, not skills. Bad attitudes also include laziness, tardiness, inappropriate jokes, unresponsive to emails, etc. List all the bad and negative attitudes you have and make a consistent effort to overcome them. Bad relationships are bound to happen from time to time. How you deal with them is the most important thing. Your colleagues are the keys to your happiness at work. If you’re not happy with your coworkers, then you’ll certainly be looking for work soon. I’m a big believer of the phrase “Do unto others as you would have them do unto you.” If you want your coworkers to be kind and respectful to you, then you have to be kind and respectful to them. Make sure you remember your coworkers’ names and address them by their names. It’s easy to say happy birthdays to your coworkers on Facebook when you rarely talk to them at work. Make sure you’re doing that important one-on-one conversation. Get on the phone and tell them “Happy Birthday.” Go an extra mile and surprise them with a gift. This little generosity will make you more likable at your workplace. You know there are some unprofessional things you shouldn’t say to your colleagues in the workplace. The same is true for work emails. For example, it’s not appropriate to answer a colleague asking you how your job search is going inside your work email. Another example is when your colleague complains about other coworkers and says nasty things about them. These are discussions you shouldn’t allow inside your work email. I don’t think it’s good to allow it at all whether it’s your personal or work email. You should know that you don’t own your work email, your employer does. Your employer can monitor who you’re communicating with on your work email. You could be in trouble if you’re making inappropriate remarks about sensitive issues at your workplace. In addition to that, there are some email mistakes that can make you look really unprofessional. These email mistakes may not look big to you, but they are serious mistakes that can prevent you from accelerating your career. The love of money could lead you down the wrong career path. You need money to do a lot of things. You probably need money to pay student loans, buy some nice outfits and keep the roof over your head. So you definitely need money. We all do. Does your desire for money match your passion and skills? When you choose a job you’re less passionate about, you’ll be pushing yourself to get things done. And this would be visible in your performance. You should choose a job where you have the skills and abilities to get the job done. If you strip Larry Page of his assets and dump him on the street, I can assure you that he would be back living a comfortable life within a week. Larry Page has a ton of human capital. According to Wikipedia, “Human capital is the stock of knowledge, habits, social and personality attributes, including creativity, embodied in the ability to perform labor so as to produce economic value.” In other words, human capital is a collection of resources—all the knowledge, talents, skills, abilities, experience, intelligence, training, judgment, and wisdom that are possessed by an individual. If you want to achieve a lot of success in your career, you need a lot of human capital. Focusing on building your human capital is a lot more productive than worrying about “job security. So how do you build your human capital? As you do these things, you’ll become irreplaceable in your organization. You’ll become the go-to person within your company. Many more people will start looking up to you. All these help you accelerate your career. But when you stop investing in yourself, you become stagnant. Your skills become obsolete. A poor work-life balance is bad for both the employee (you) and the employer. People who have a poor work-life balance are more stressed and experience more family conflicts. They also tend to have both mental and physical problems. If your private life is suffering, it will negatively impact your professional life. Your private life comes first. When you experience more problems in your private life, your creativity, engagement and productivity at work will suffer. The only way to prevent this is to keep a work-life balance. This may not look like a career mistake to you, but it’s a mistake that can have adverse effects on your career. You should set work hours and stick to them. Don’t work during times when you should be with your family or have set aside times for tending to personal matters which are a priority to you. The consequences of poor communication are great. For example, if your communication skills are poor, your message would be hard to understand, and this can lead to serious confusion among your colleagues. Too much information when it is not needed can also affect the concentration of the listener. 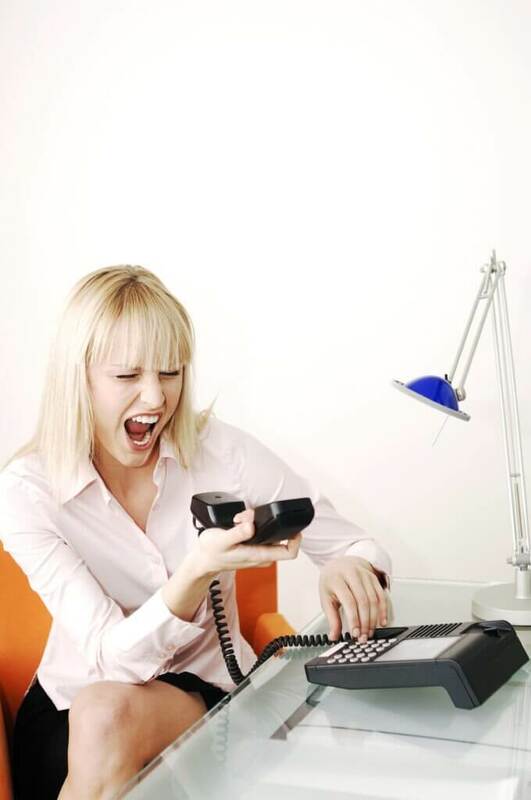 Poor communication becomes more serious when you communicate with customers. If customers are not serviced in the right manner, it would reduce sales, thereby affecting business goals. Great communication skills help you do well at your job because you’ll be using these skills when requesting information, discussing problems, giving out instructions, and interacting with your colleagues. As a result of demonstrating good communication skills, you’ll enhance your professional image, build sound business relationships, and get more successful responses. You have to continue sharpening your communication skills if you want to get and stay at the top. Your network is your source of job opportunities, potential business partnerships and much more. Your network won’t only find your next job, but it will help you improve your current position. One of the biggest mistakes many people make is to network when they are only looking for a job. You can’t only rely on people you already know within your current workplace to help you land your dream job. You must always be networking outside of your company, and even your industry. For example, let’s say you’re a website designer; networking with other website designers alone would limit your opportunities. You should network outside your industry like in the Healthcare, Manufacturing, Agriculture and Energy sectors. People in these sectors could be good references. They could become customers. They might know someone who needs your service. LinkedIn is a very good place to start networking with people outside your industries. But your conversation with those people shouldn’t be limited to the web. Take it offline. Do face-to-face meetings with them. That’s how you expand your network and increase your chance of career success. The truth is the people in your network needs you as much as you need them. You can’t just expect people in your network to connect you with other people they know. You can’t just expect them to link you up with job opportunities without you giving them some value. You’ll appear selfish if you always expect people to do things for you but offer nothing in return. The best way to keep people interested in you is to serve them. When you diligently do something good for people, they will want to return the favor, though, your major aim of helping people shouldn’t be to get something in return. The more people you serve, the more your network grows, and the more your network grows, the more opportunities will come your way. Need more tips for making the best career choices? Visit our blog and follow us on LinkedIn, Twitter, Facebook, and YouTube. 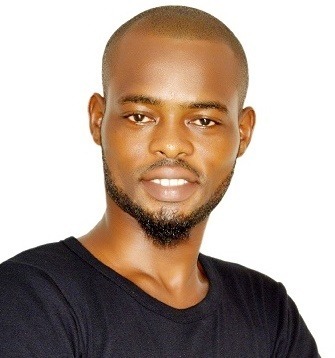 Michael Akinlaby is a freelance writer and SEO Consultant. 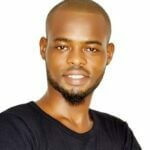 He’s the founder of RankRain, an internet marketing agency that specializes in content marketing and Search Engine.